Crispy, salty and full of sweet and savoury flavour, these Pumpkin Couscous Fritters are perfect for a quick lunch. 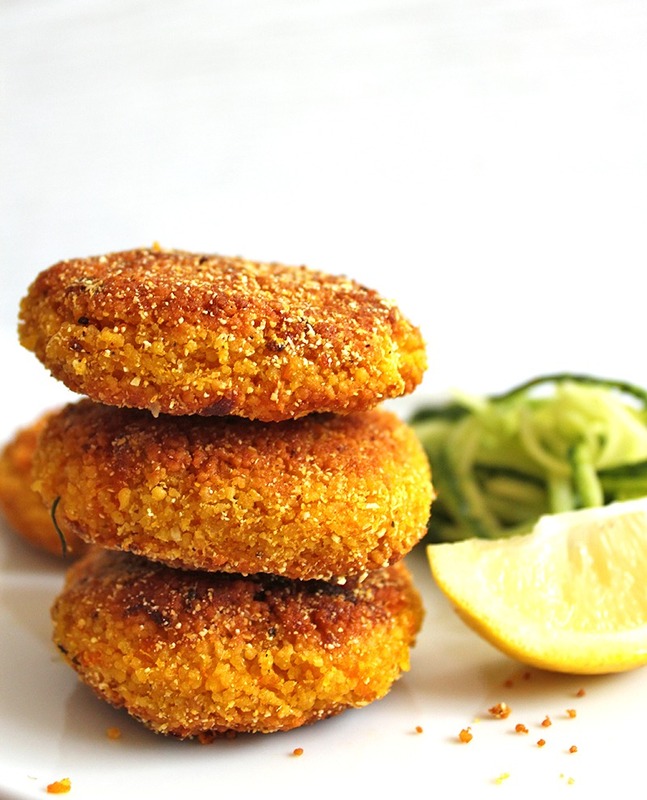 They’re vegan (of course), easy, quick to put together and only require 8 simple ingredients. Somehow, this dish soothes both my comfort food cravings AND my fresh food cravings. 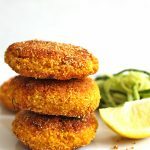 By simply jazzing it up with a crispy salad and lemon juice I can make these fritters zesty and refreshing. But if I want cozy vibes, I just have them with a creamy garlic dipping sauce and it does the trick. No matter the weather outside or the mood inside, this recipe is a winner! When fried just right, these fritters are super crispy and crunchy on the outside but soft and flavourful on the inside. It’s a fuss-free recipe that can easily be made ahead of time and enjoyed warm or cold. They’re perfect for meal prepping or tomorrows lunch as they’re not messy and easy to pack into a lunch box with a side salad. 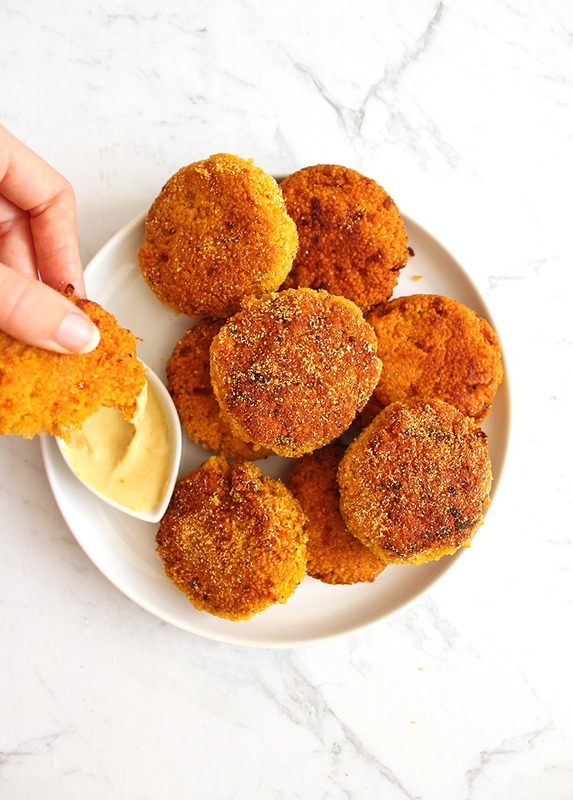 I love to prepare lunches ahead of time so that I’m not spending money unnecessarily or fussing in the kitchen and these fritters are one of my favs to make. 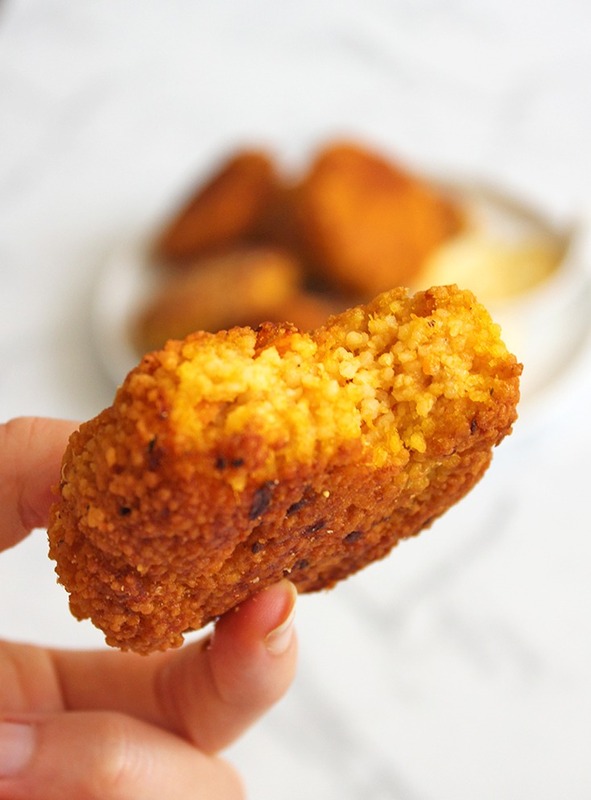 However you choose to enjoy them, these Pumpkin Couscous Fritters will leave you feeling full and completely satisfied until your next meal. If you’re on the hunt for more delicious savoury lunch recipes, why not try these Walnut Veggie Burgers or these Creamy Veggie Turnovers. Chop the pumpkin into roughly 2cm chunks, cook it in boiling water until soft, drain, mash and set aside. Prepare your flax egg by combining 1 tablespoon of flax meal with 2.5 tablespoons of water and letting it sit until it becomes gelatinous, then set aside. Place the couscous into a mixing bowl with 1 cup of boiling water. Let sit for 5 minutes or until the water has completely absorbed. Add 1 tablespoon of oil and lightly fluff with a fork to loosen up the couscous. Combine the couscous, pumpkin, grated carrot, flax egg, onion powder, garlic powder and nutritional yeast flakes. Roll into flattened balls. Heat oil in a frying pan on medium heat, the oil should be about 2.5cm deep. Fry the fritters in the oil for about 6 minutes on each side or until they’re golden and crispy all over. Serve with a wedge of lemon, a fresh side salad and enjoy! * I used butternut squash to keep them nice and sweet in flavour, however, regular pumpkin will work just fine also.